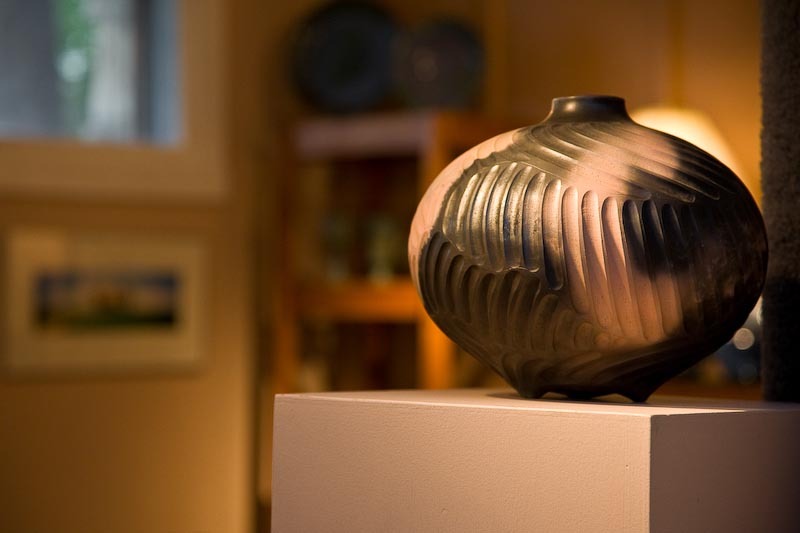 Pottery on display at Main Street Gallery, a Co-op organized in 1982 by a talented group of High Country artists and craftspeople. It is owned and operated by the member craftspeople who share in the management, operation, and financing of the gallery. The members are as diverse in their backgrounds as they are in the media they use.